Lightweight power and clever design are yours with the Champion 2000-watt stackable inverter generator. Rely on the 80cc engine and enjoy a quiet 53 dBA for up to 11 hours of run time. 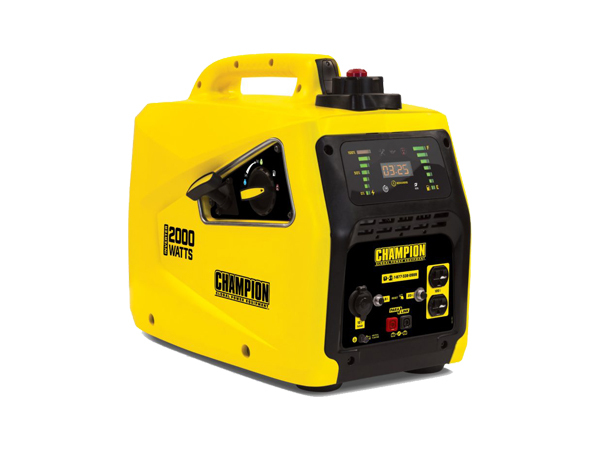 The Champion Power Equipment 82001I-E 2000-Watt Portable Inverter Generator weighs in at only 20 kg and is ideal for camping, tailgating, powering items around the Campervan like lights or TV or providing backup for a few basics. This unit is not recommended for emergency home backup.